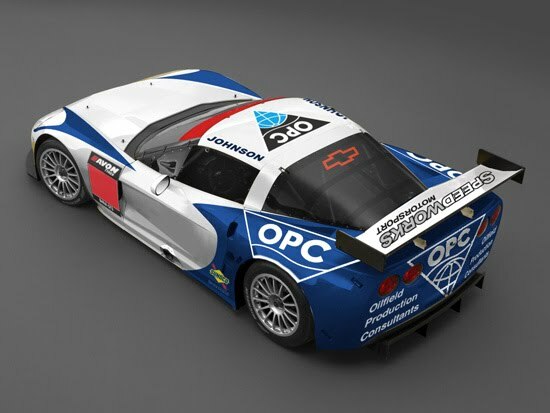 Speedworks Motorsport and drivers Piers Johnson and Ron Johnson are to campaign a Corvette in the Avon Tyres British GT Championship, it is confirmed today. The Corvette will be making its British GT debut after considerable success in the FIA GT3 European Championship, and Speedworks – last season’s G4 champion team – will be stepping up to GT3 for the first time. The 560bhp V8 Corvette will be joining a host of new and exciting machinery on the grid, with the Ferrari 458 Italia and Mercedes-Benz SLS joining the fray for the first time alongside the Audi R8 LMS, Porsche 911 GT3R, Ascari KZR1, Ferrari 430 Scuderia and other GT3 exotica. Piers Johnson’s driving partner Ron – no relation – started his track career in the Caterham Academy and progressed through Superlights and R400s to British GT last year with a Speedworks-run Ginetta G50. Their campaign will be sponsored by Oilfield Production Consultants (OPC) Ltd, which provides expertise to the global oil and gas industry to assist hydrocarbon exploration and production companies find, evaluate and produce hydrocarbons. OPC has offices in London, Aberdeen, Houston, Doha and Atyrau. “It is really exciting finally to see a Corvette on the British GT grid,” said championship manager Benjamin Franassovici. “It was a competitive car in Europe in 2010 and I am sure that it will be here also. There is a great battle in prospect between the new GT3 cars like the Corvette, Ferrari and Mercedes and those with a proven track record in the series. Speedworks, which will also field a Toyota Avensis in the British Touring Car Championship this season, expects delivery of its Corvette next month and hopes to begin testing in good time for the opening round of the Avon Tyres British GT Championship at Oulton Park on Easter Monday (25 Apr). The British GT Championship is sponsored by UK tyre manufacturer Avon Tyres and is further supported by Sunoco Racing Fuels, Anglo American Oil Company and OAMPS.